This interdisciplinary volume of thirty original essays engages with four key concerns of queer theoretical work - identity, discourse, normativity and relationality. The terms ’queer’ and ’theory’ are put under interrogation by a combination of distinguished and emerging scholars from a wide range of international locations, in an effort to map the relations and disjunctions between them. These contributors are especially attendant to the many theoretical discourses intersecting with queer theory, including feminist theory, LGBT studies, postcolonial theory, psychoanalysis, disability studies, Marxism, poststructuralism, critical race studies and posthumanism, to name a few. 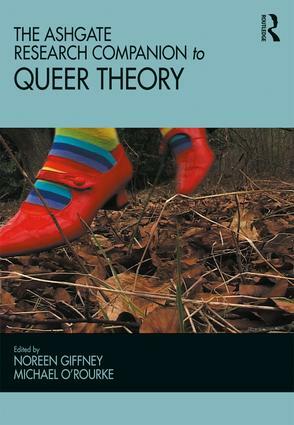 This Companion provides an up to the minute snapshot of queer scholarship from the past two decades and identifies many current directions queer theorizing is taking, while also signposting several fruitful avenues for future research. This book is both an invaluable and authoritative resource for scholars and an indispensable teaching tool for use in the classroom. Noreen Giffney is a Psychoanalytic Psychotherapist in private practice, and Lecturer in Counselling in the School of Communication and Media at the University of Ulster. Michael O’Rourke is the series editor of Queer Interventions at Ashgate Publishing. His research concentrates on the intersections between queer theory and Continental philosophy, especially Derrida, Delueze and Guattari, Ranciére, Foucault, Irigaray, Caputo and Nancy.